If you’re a Star Wars obsessive, you already recognize the name: äóìExecute Order 66äó was Chancellor Palpatine’s command to kill all Jedis in Revenge of the Sith. 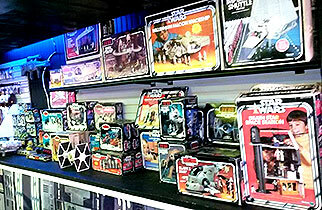 If you’re a Star Wars obsessive, you’re also more than likely familiar with this McKinney shop, which deals exclusively in Star Wars. How is the selection? We know a guy from Tulsa who comes all the way down every couple of months just to pick up original, on-the-card action figures.